Eight and a half year career-old, Sarwat Gillani is quite a visionary woman when it comes to delivery her best on and off screen. 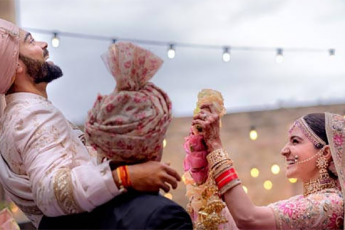 She has made a mark in the drama industry with her roles in famed serials like Mata-e-Jaan and Dil E Muztar, Ishq Gumshuda and Meri Zaat Zarra-e-Benishan; before signing her debut film, Jawani Phir Nahi Ani with Six Sigma productions. What was the driving force behind this vivacious figure, who dared to take up art, film, theatre and television all at the same time? Team SiddySays meets up with Sarwat Gillani who’s ready to spill all the beans! You graduated from IVS in 2004 with masters in film marketing, can we say that you were always drawn towards the field of art? Yes! I think it would be very true if you make this connection and claim that I was always drawn towards the field of art. From earlier on, I saw myself going towards that direction. I act, I paint, I do interiors, and I have my own company so it’s a lot like I have numerous mediums to convey my expression and thoughts. Whether it’s a canvas or a television camera, as an artist I feel that self-expression is essential. You just had a baby! How is it like managing work with home? It’s amazing! I’ve always been able to prioritize, and I think someone has to be intelligent enough to manage both work and home. All the successful people that I know of have always been able to achieve that. And I pray to God, that it continues and He keeps me sane. So both you and Fahad are from the industry, do you both discuss work at home? Or you have the two lives separated? I’ll tell you what, we both are so busy with our work throughout the day that when we’re home, we just don’t want to talk about work. We want to spend the quality time together, talking about things that are no way linked to work or any projects or assignments. We have a baby now, MashaAllah, so life is a lot different! Fahad is more inclined towards TV commercials and I’ve got my hands full with TV series and movies, so whenever we get an alone-time, we utilize it to the fullest but we also do try to consult each other for advice regarding work and projects etc. Has your family been supportive towards you entering the media industry? You know, initially they weren’t. They were always skeptical towards sending their daughter in the media, because of certain types of taboos attached to the industry. Gaining the trust of my family was probably the most difficult thing, but soon served as an anchor for me. I always remember I belong to a family where I have to carry the name back home and face gazillion cousins, and chachas and mamoos who’ll be holding me accountable for my actions. This is probably why I’ve always been extra choosy with the type of character I do and roles I represent. Any piece of advice your mother has given you about the industry that you still remember? My mother said that life will always present you with a bill and you should be able to pay it up. 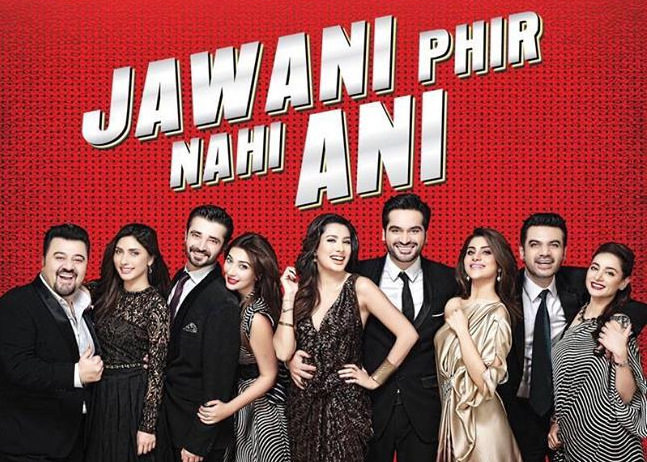 Coming to Jawani Phir Nahi Ani, tell us about your role in the film. My role is of a very feisty, pashtoon woman who’s dominating in a slightly comical way. I come from a pathan family myself so the language, the demeanor, body language and mindset was very easy for me to adapt. I’ve seen some of the feisty and driven women in my own household while growing up so it was relatable. But as compared to other roles I’ve done before, this is a bit different. Your co-actor on screen is Vasay Chaudhry for the movie, what was it like working for him? Vasay is a very intelligent person. People would think that he’s always non-serious because he writes comedy, but he’s not. He’s a very sensible and decent person to work with. I had of fun working with him because he gave me a lot of room to improvise and as an actor I think kind of leverage is important. What made you say yes to the role? I had actually done a telefilm with Nadeem Baig, the director of the film, with a similar role so it was just about making it larger and giving it more life. Also, it was a lot about a friend asking me to do it, so I couldn’t have refused. Is it harder to make people laugh than cry? I think it’s definitely harder to make people laugh because, emotionally everyone has a weak point that’s easier to pin down and manipulate in terms of drama series. So I’ve always been able to use those triggering points, which were also real and around me and helped me relate to the character for a better execution on screen. But pulling off a comic role is always a wee-bit tricky because what I may find funny, you might not. So that element of reliability and sharing similar humorous sense makes it more difficult, to execute it in a fool-proof manner. Who’s that one actor in the industry you look up to? I draw characteristics from everyone I work with. Whether it’s a spot-boy, the CEO or my co-stars, I make it my habit to derive everything positive from my work surrounding. You can say that they’re all my idols, I really can’t pick one. I know it’s too soon to say, but do you wish your child would follow the footsteps of mum & dad? Not really! But I sort of like the way Fahad has managed it. He has a very solid career as a plastic surgeon and he intermixes that with his hobby which is commercials and acting. So if Rohaan does really insist, then I’ll let him do a little bit of acting. But as a mother, I would primarily want him to a proper career in music, business or medicine like his father. Is there a chance we’d see both you and Fahad together as a lead in the movie? Well yes, there are a couple of things being worked upon, but we’re trying to work around the timeframes. Fahad is the real superstar in the family, so it’s really his time that we get very little of! But we are trying to work things around his schedule for now, and hoping we make something work. Why should your fans come and watch Jewani Phir Nai Ani? They should come and watch Jawani Phir Nahi Ani, because in just 600 rupees, this is the best entertainment they can get! What’s next for Sarwat Gillani? Lots! Special Olympics, films and direction of a film soon. I’m also planning to take my Naqsha company for interior designing to the next level.